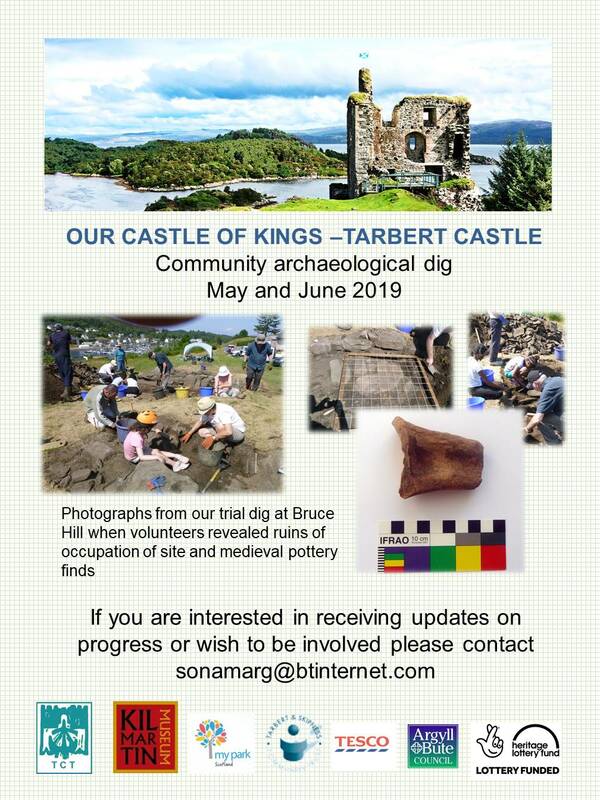 Join the community archeological dig at Tarbert Castle! In May and June this year there will be an opportunity for you to explore the Castle of Kings. Whether you are a complete novice or more experienced, full training and guidance will be given by one of Scotland’s leading archaeologists. To find more information about the work to date, visit the Tarbert Castle website. Tarbert Castle Trust wants to take previous exploration further and has commissioned a detailed project design in discussion with Historic Environment Scotland. The Trust is organising an archaeological dig to be carried out this summer. More details will be published shortly when there will be an opportunity for you to join the dig and to book a specific day(s) to take part. Click on the poster to download a copy!